Afterlife - One of several terms used interchangeably to refer to life after death. The word "afterlife" has been used since 1615, and is generic enough to use in almost any setting and culture. Other terms include "crossing over," "the Otherworld," and "the other side." Most ghost hunters avoid specific religious terms such as "heaven" when discussing ghosts, hauntings, and an afterlife. All Saints Day - November 1, is the day the Catholic Church honors its saints. The day is said to be special for the spirit world and paranormal activity as well. All Souls Day - November 2 is the day in which the Catholic Church honors and remembers the dead. The day is believed by some to be even more charged and have more psychic potential than Halloween. A great number of paranormal events have taken place on this day. Alpha Rhythm - Electrical activity in the brain (about 10 cycles per second) associated with a state of mental relaxation. Altered State of Consciousness (ASC) - A term used to refer to any state of consciousness that is different from "normal" states of waking or sleeping. ASCs include hypnosis, trance, ecstasy, psychedelic and meditative experience. ASCs do not necessarily have paranormal features. Ancestral Spirit - An ancient spirit that follows families or certain groups of families to where ever they move. These spirits are said to watch and protect over the families, and often can give forewarnings of tragedies and deaths. Throughout history historic and royal families have claimed to have such connections. Angel - A supernatural being that is believed to exist on a realm between God and mortal man. An angel serves many proposes and meanings, one of the many duties is to be guardians over man kind. Anomaly - Something that is out of place and unexplained. In paranormal studies, it refers to any phenomena that we cannot explain. Example: A lens flare in a photo is not an anomaly, but an orb that we cannot explain is an anomaly. Apparition - Since the early 17th century, this refers to any ghost that seems to have material substance. It appears in any physical form, including a vapor-like image, for very short periods of time. It may be called an apparition. Apparitions of animals, humans, and even inanimate objects have been seen. Atmospheric Apparition - Not actually a ghost or spirit, but instead a "visual imprint" of people and events that was left behind in the environment and continues to replay. Aura - The emanation of energy that surrounds all living things. It is believed that our physical health and our emotional state are reflected in our auras. For example, if someone is ill, happy, or sad it will be reflected in their aura. Those with psychic abilities are able to see and interpret this energy. Two Russian scientists by the names of Semyon and Valentina developed the Kirlian Photography; through the use of this photography one's aura can be photographed. Some believe that the color of orbs is similar to that of one's aura. Battlefield Ghosts - These are places with great violence, trauma and intense emotion are typically subject to hauntings. There are no places more violent than battlefields, and it is rare to hear of a battlefield that isn't haunted. Most battlefield hauntings are residual hauntings where fragments of the battle are replayed over and over again. Other hauntings are from spirits who have not crossed over, most likely because they feel they can't due to the nature of their death. Some believe retrocognition is also an element in battlefield hauntings. Case Study - An in-depth investigation of an individual subject. Channeling - A form of spirit communication where an unseen entity possesses a medium in a controlled environment to impart guidance, wisdom or future events. Clairvoyance - A type of ESP (ExtraSensory Perception). The ability to have clear visual mental images, pictures, to "see" auras and other psychic phenomena not visible through normal sight. Clairalience / Clairolefactorance - The ability to sense spiritual activity through the sense of smell. Clairambience - The ability to sense spiritual activity through the sense of taste. Clairsentience / Empathy - The ability to clearly feel yours and/or other�s emotions and sensations. Cold Reading - A psychic or intuitive exploration with very little to no background on what they are exploring. Cold Spot - A definitive temperature change in the air or on an object that cannot be scientifically explained by drafts or other evidence. Many paranormal investigators maintain that the unexplained presence of cold spots may indicate the presence of a ghost or spirit. The theory is that spirits need to use energy to attempt to manifest, and that they draw that energy from the surrounding atmosphere. Collective Apparition - The sighting of the same apparition by more than one individual. This type of spirit sighting is extremely rare. Coronal Discharge - Also known as "Life Force" and associated with Kirilian or spiritual aura photography. � Life force,� and associated with Kirilian or spiritual aura phgraphy. Demon - Historically, this term has included deceased individuals. However, since the early 18th century, it usually refers to an evil spirit, sometimes more powerful than man, but less than Deity. Today, we generally do not use this term to indicate a deceased human being. The female demon, very rarely mentioned, is a Demoness. Doppelganger - A concept made popular in the early 19th century, a German word that mean double walker. It is the shadow every human has; however, there is some intelligence given to it. It may only be seen by its owner, although it is reported that pets can often see one's doppelganger. The doppelganger is there for one's support and sympathy but will sometimes give advice, thoughts and ideas by whispering them in their owner's ear. While rare, doppelgangers will occasionally decide to make themselves seen by others and they do so by manifesting as a double of their owner. They then go about playing tricks that can sometimes be quite mean, causing great distress for the owner's family and friends. If the owner sees their doppelganger in this complete form, it is a sign of bad luck and great misfortune, and some believe it means the owner will soon die. Other beliefs are that the doppelganger is one's astral body, one's soul or an apparition of a living person. This may be paranormal phenomena, but it's not a ghost. It does not forecast anything tragic. Earth Lights - Luminous phenomena typically shaped in ball form or irregular patches of light appearing randomly and defying explanation. Earthbound - A term referring to a ghost or spirit that was unable to cross over to the other side at the time of death and is therefore stuck on earth. Ectoplasm - Often referred to as "ecto," this is the physical residue of psychic energy. A solid, liquid, or vaporous substance which some researchers believe is sometimes produced by ghosts or spirits. Ectoplasm can be seen by the naked eye, and is best viewed in dark settings since it is translucent and tends to glow. It is very unusual. Researchers often describe it as a vivid, lime green color and has an ozone smell. It usually fades from sight gradually. Ectoplasm often shows up in photographs as a mist or blob. Electronic Voice Phenomena (EVP) - EVP is the use of audio equipment to capture voices. Typically, voices appear on tape or video that should not be there. For instance, when there was no one in the room or the voices are in a foreign language. In many case, the voices seem to be responding to an investigator or a situation. No voices are heard by the people present in the recording but, after reviewing the tapes, there are strange voices recorded. ElectroMagnetic Field (EMF) - Energy fields present everywhere in our environment. Naturally produced fields are a build up of electrical charges in the atmosphere associated with thunderstorms. Man-made fields are produced by any source of electricity, such as fuse boxes, electrical outlets, TV, and batteries. A Magnetic Field occurs when an electric charge has motion. EMF is produced by a combination of the two, such as when an electrical appliance is in use. Many researchers believe that spirits use these fields to build-up enough energy to manifest in one form or another. The electromagnetic spectrum ranges from radio wave to Cosmic or Gamma rays used in radiation. The visible light spectrum is only a small sliver within this range. ElectroMagnetic Field (EMF) Detectors - Handheld scientific instruments that can pick up electronic and magnetic fields over different frequencies. They can read changes and distortions in the normal electro-magnetic fields. Elemental - Many societies believe in the existence of elemental spirits, those spirits that have never inhabited human form but consist of the base human emotions, such as love, anger, fear, etc. Elemental spirits are usually entrusted with the care and guarding of sacred areas and lands. Empathy - The action of understanding, being aware of, being sensitive to, and vicariously experiencing the feelings, thoughts, and experience of another of either the past or present without having the feelings, thoughts, and experience fully communicated in an objectively explicit manner; also : the capacity for this . People with this ability are sometimes called "empaths" and may pick up feelings from buildings or objects, even if those buildings and objects are not haunted. Rarely used in modern parapsychology. Energy - Quantum Physics tells us that everything is made of energy. Ghosts and spirits may be energy that no longer occupies a body. If so, that energy may be felt and it may be measurable. Energy may also be used by an intelligent entity for manifestations. Entity - Something that has separate and distinct existence and objective or conceptual reality. Examples may be any being with life force of some type, including spirits, demons and people. Extra Sensory Perception (ESP) - The ability to receive information about past, present or future events that can not be obtained through the normal senses. These include telepathy, clairvoyance and precognition. It is believed that everyone has some level of ESP, but some individuals possess a heightened ability. Extra - A face, shape, or object that appears in a photograph supernaturally and can not be explained by a natural source, faulty film, developing errors or fraud. Family Apparitions - Ghosts that haunt one particular family. Ghost - Believed to be the soul or the life force of a person. When someone dies, this energy is released from physical body and is believed to do one of two things; either it goes onto a higher spiritual place or plane (heaven), or it stays behind and lingers on for an unspecified time. Why it stays behind, no one knows for sure. Some of the more popular theories are as follows; unfinished business, a strong emotional ties to someone or something, saying goodbye, wrongful death or perhaps to pass on a warning. Animals and even inanimate objects, such as builds, cars, ships trains, etc. have been reported as ghosts. Ghost Investigation - A carefully controlled research project, set up to record paranormal activity, usually at a location known, or presumed to be haunted. Records include: audio/video data, atmospheric data, historical research, and interviews. The investigation is not conducted to prove or disprove paranormal activity. This requires a professional approach and dedication to detail. It will require a minimum of three to five hours to complete, mostly taking place at night and sometimes taking until the early morning hours. Occasionally, investigations require an overnight commitment. Team numbers are strictly limited and full investigative protocol are followed. Ghost Lights (Ignis Fatuus) - Meaning "Foolish Fire," ghost lights are a variety of ghost or spectral lights. These closely resembling orbs, but much larger and brighter in appearance. These are mostly seen in remote places and have been seen changing colors, directions and sometimes heard making a buzzing sound. When these lights are confronted by approaching people, lights or noises they will quickly disappear. These lights will "haunt" a particular location for anywhere from days to years. According to some folkloric traditions, the lights are souls of the dead; in other legends, they are imp-like spirits. See Earth Lights. Globule (Orb) - Spirits and ghosts are often photographed as globule, also known as an orb. These are tiny spheres of electromagnetic energy. These are not always perfect circles, and they come in a large variety of colors. Guardian Angel / Spirit - Often thought of as an angel, a spirit who protects and guides a particular person. The concept of tutelary angels and their hierarchy was extensively developed in Christianity in the 5th century. The theology of angels, and tutelary spirits, has undergone many refinements since the 400's, and contemporary orthodox belief in both the eastern and western churches is that guardian angels protect the body and present prayers to God, protecting whichever person God assigns them to. Halloween - Also known as �All Hallows Eve�, is the night of October 31st. Originated under the name of "Samhain" as a Pagan festival among the Celts of Ireland and Great Britain, after which Irish and Scottish immigrants carried versions of the tradition to North America in the nineteenth century. Many European cultural traditions hold that Halloween is one of the times of the year when spirits can make contact with the physical world, and when magic is most potent. Haunting - A phenomena where the spirit or the ghost of a deceased person or animal that attaches itself to a certain location, object, or person and continues to remain or revisit them causing paranormal activities such as apparitions, strange sounds, inducing smells, electrical disturbances, etc. A haunting is often repeated and experience by those who enter the area or come in contact with the person or object that is the object of the haunting for days or years. Infrared / Night Vision - A part of the electromagnetic spectrum that is below visible range. IR cameras allow one to see in the dark and pick up on activity that the physical eye cannot. Intelligent Haunting - Paranormal activity that takes place around a person or location that is caused by an intelligent or conscious spirit. Best described as the spirit of an individual who has passed away, but not crossed over. The spirit interacts with people trying to make its presence known through repeated sights, sounds, smells, and the manipulation of objects. Kirlian Photography - A photographic method involving high frequency electric current, discovered by S.D. & V. Kirlian in the Soviet Union. Kirlian photographs often show colored halos or "auras" surrounding objects. Ley Lines - Hypothetical lines connecting ancient geographical areas or sacred objects that may be centers of powerful earth energy. Ley Lines have been linked with underground streams and magnetic currents. Light Rod - A light rod appears as a bar or stick like shape. When a light rod sometimes takes a bend, it is then called a swirling light rod. Luminous Phenomena - The experience of strange lights or glows, often around objects or people. Malevolent / Malicious Spirit - A spirit that wishes physical or psychological harm to the living entities around it. Malicious spirits can physically manifest as shoving, biting, scratching, or throwing of objects at a person, or they can manifest as partial or full possessions. These spirits will destroy or damage things of a personal or financial value for the sake of hurting others. These types of spirits are very rare. Manifestation / Materialization - An appearance of a spirit or of spirit activity. The sudden appearance of a spirit or object that can be detected with the physical senses. These are usually brief in appearance and may not be fully formed. The appearance of a hand or face is common. Metaphysics - The term metaphysics is derived from the Latin word "meta" which means "beyond", and the word physics which means the study of psychical research. Essentially the word metaphysics literally means the study of that which is beyond the laws of physics. Mist - A photographed anomaly (not seen at time of photo) that appears as a 'blanket' of light. Theory suggests that this is the appearance of a 'ghost' or 'spirit' of the dead. As with other photographed anomalies there are environmental issues that are of concern to the validity of their existence (moisture, reflection, dirty lens, etc.). There has been no substantial proof that these are, or are related in any way, to 'ghosts' or paranormal behavior. Modern Apparitions - "New" Ghosts of deceased individuals. They appear in fashion from the current time. Occult - From the Latin, meaning something that is concealed or covered. Since the 16th century, it has meant anything that is mysterious. Today in America, it generally refers to magical, mystical and experimental studies. For most practicing occultists it is simply the study of a deeper spiritual reality that extends beyond pure reason and the physical sciences. Orb - A photographed (still, video, or IR, rarely seen with the naked eye) anomaly that, in theory, represents an ongoing 'spirit' of a deceased person. The mass of energy appears as a translucent ball of light and may occasionally seem to be moving. There are several classifications depending on size and color. This is a highly controversial subject since there are many reasonable circumstances that identify this as environmental (dust, rain, snow, dirty lens, insects, reflection, lens flare etc.). Although this is the most photographed phenomena, there has been no substantial proof that the balls of light are associated with 'ghosts', the dead, or any paranormal behavior. Orbs have been known to interact with people. Outward Manifestation - Any type of paranormal activity. These many include, but not limited to disembodied voices, odors, movement of objects, manipulation of temperatures, electrical disturbances, etc. Paranormal - Refers to anything outside the realm and experiences that we consider normal. This term is used to refer to unexplainable events. Parapsychology - Term coined by J. B. Rhine, is the scientific and scholarly study of certain unusual events associated with human experience, such as ghosts. It is generally defined as the scientific study of paranormal phenomena. Studies may include: new means of communication, or interaction, between organisms and their environment (commonly referred to as psychic ability), beyond those presently understood by the scientific community. Place Memory - Information about past events that apparently is stored in the physical environment. Plasma - Plasma is defined by bluish-white light caused by the ionization of the surrounding area. The ionization process releases photons from the bond of atoms causing a visible glow. Plasma may be created when an invisible electromagnetic force or high energy field moves invisibly through an air mass. responds strongly to electromagnetic fields. Poltergeist - A 19th Century German words that means "noisy or mischievous ghost." A destructive spirit that has the ability to move objects by solidifying the ambient air which results in the movement and/or teleportation of objects. This phenomenon is also associated with noises, rapping, levitating and throwing of objects, electrical problems, as well as other physical manifestations. These events usually come on suddenly and end just as fast. They can last for days, months or a few years. The longer lasting ones seem to occur for a few days each year. Many of these cases have been attributed to a specific person, often seems to be centered on individuals in severe stress, in the household. In most cases, this specific person, known as an agent, is a young child entering the puberty stage of life. It is believed that the agent causes an involuntary type of involuntary type of psychokinesis, causing the disturbances. Unlike other ghosts, poltergeists can move from one location to another, following the person they've chosen to torment. Psychic Echo - When sounds from the past have mysteriously recorded themselves into the natural environment. Psychokinesis (PK) - The ability to influence the environment by intention alone. This has also been referred to as Telekinesis, the ability to move object using only the mind. Qualitative Method - A research method involving the collection of non-quantitative data (e.g., observations, interviews, subjective reports, case studies). Quantitative Method - A research method involving the collection and statistical analysis of numerical data. Radio Voice Phenomena (RVP) - The voice of a ghost or spirit communicating through a regular radio. Reciprocal Apparition - An extremely rare type of spirit phenomena in which both the agent and percipient are able to see and respond to each other. Recurring Apparitions - Ghosts or spirits that appear in regular cycles, usually once a year. This may occur on a date that marks a significant event, such as a battle or death. Residual Haunting - A series of spirit events that occurs repeatedly with no change to the pattern of events. These are considered to be energy prints from the past of dramatic events. A residual haunting will never interact with the living. Residual Energy - Many researchers believe that emotionally charged events leave an imprint or energy residue on the physical objects nearby. What distinguishes residual energy from an active haunting is that the energy/impressions repeat consistently, as if on a loop. The energy levels may increase or decrease, but the content remains the same with each manifestation. By contrast, in what we term an active haunting, the ghost may respond to environmental stimuli and direct contact. Skeptic - A person inclined to discount the reality of the paranormal and to be critical of parapsychological research. Generally seeks rational or scientific explanations for the phenomena studied by parapsychologists. Sensitive - Someone who is aware or can detect paranormal events beyond the range of their five human senses. Spirit - Spirits are believed to exist in an invisible realm that can only be seen under certain circumstances or by people with special abilities. Unlike ghosts, the term "spirit" is used for demons, angels, fairies, elves and even places. Mountains, woods, lakes, trees and sacred sites are all said to possess a spirit...and in many ancient cultures, this is a living spirit. Spirit Photography - A spirit photograph captures the image of a ghost on film. 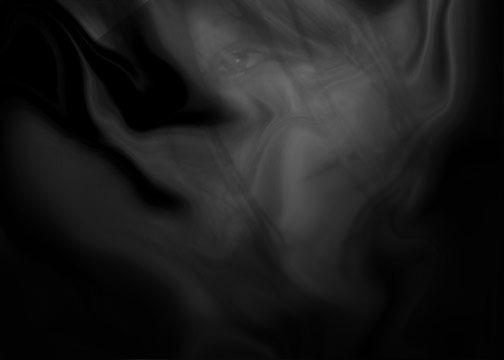 Many of these are supposedly intended as a mere portrait of a living human being, but when the film is developed, an ethereal ghostly face or figure can be seen hovering near the subject. This may also incorporate orbs, vortexes, and mists to some degree. Spiritualism - A belief system that �spirits� of the dead can (and do) communicate with living humans in the material world. (Usually through an intermediary known as a medium). Supernatural - Something that exists or occurs through some means other than any known force in nature. As opposed to paranormal, the term �supernatural� often connotes divine or demonic intervention. Survey - A method of data collection that involves interviewing (or giving questionnaires to) a representative and often large group of people. Temporal Lobe Activity - Electrical activity in the temporal lobes of the brain. Often associated with strange sensations, time distortions and hallucinations. Sometimes used as an explanation for seemingly paranormal experiences such as apparitions. Vortex - A photographed anomaly that appears as a funnel or rope-like image in photographs. These images are sometimes thought to represent ghosts, collections of orbs, or gateways to a wormhole in time-space or to the spirit world. There has been no substantial scientific evidence to support any of these theories. White Noise - An Acoustical or electrical noise of which the intensity is the same at all frequencies within a given band. ©Copyright. Karen Mossey/Mike Sullivan. All rights reserved.